It's Xmas Time again and at Computer Zen we celebrate the Festive season by offering you some great value deals! It's our way of saying Merry Xmas and thankyou for all you years of supporting us with your business. Take a look over the offers below, pick out the one you're interested in, and either give us a call on 1300 266 936, or email us using the enquiry form on this page. We look forward to taking away your computer stress so you can relax this Xmas. Please note - these deal only run until the 15th January 2016 so be sure not to miss out! Is your Computer or Laptop running slowly? Is your Mac or PC taking forever to load? Hows your internet? Are you still waiting for that website to launch? If you answered yes to any of these, then our Optimise IT Remotely package is just what you need! The Optimise it package was designed for clients who need their computers running fast! We Remote login to your machine which is easier and more convenient to schedule the job at at time that suits you! With the added bonus of saving you $$$ with no call out fees EVER! We look at your start up programs and will remove or uninstall any redundant items to help speed up system loading times. We also perform a virus scan to check for any Malware or virus threats. If viruses / malware are found we get rid of the nasty bugs. We run a 3rd party defrag program that is one of the best going and it is also free. After your speed up service, your system will be running much faster and smoother making you feel pleased that you called Computer Zen. No matter where your holidays take you, we are here to help you. We can fix an amazing amount of IT problems no matter where you are so long as you can connect to the internet that is.………. Just call or email us and tell us your problem. Some things can’t be fixed remotely, but you’d be surprised what can be done! This is amazing value for just $99. Contact us on 1300 266 936 and speak to our friendly staff about on of our awesome packages and we can get you started. Alternatively, fill out the contact form on this page to send us an email for a no obligation quote on how we can help you. 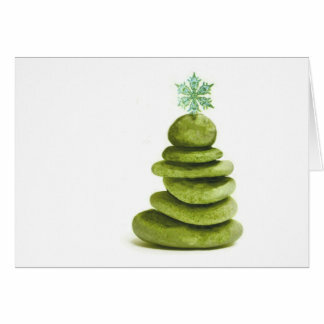 Computer Zen wishes you and your family all a great Xmas and a happy New Year! We look forward to supporting all your IT needs into 2016 and beyond!